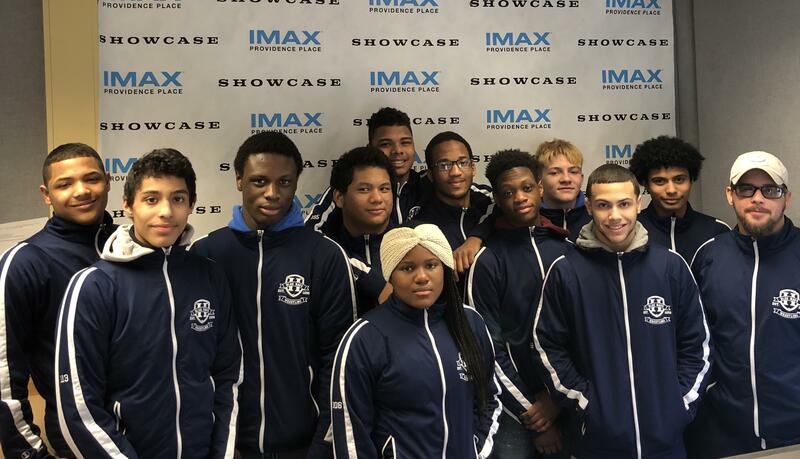 Congratulations to this week’s Showcase Cinemas High School Team of the Week: Hope High School Wrestling! The team had an amazing season and went 15-0 to win their division for the first time in over 20 years. They beat another undefeated team for the title and have 3 students that are on the National Honor Society and 14 students that made honor roll this quarter. We are graduating 5 seniors and those 5 seniors have already decided which college they will be attending in the fall. These guys also volunteer at a recreation program and middle school program named Beat the Streets Providence. Within that capacity, they are able to help students stay on track and keep them out of trouble as well as teaching them lessons of the sport. These guys are the true definition of something positive happening in the City of Providence. I think giving them a little bit of acknowledgment will boost their overall morale.